When you want to be different. 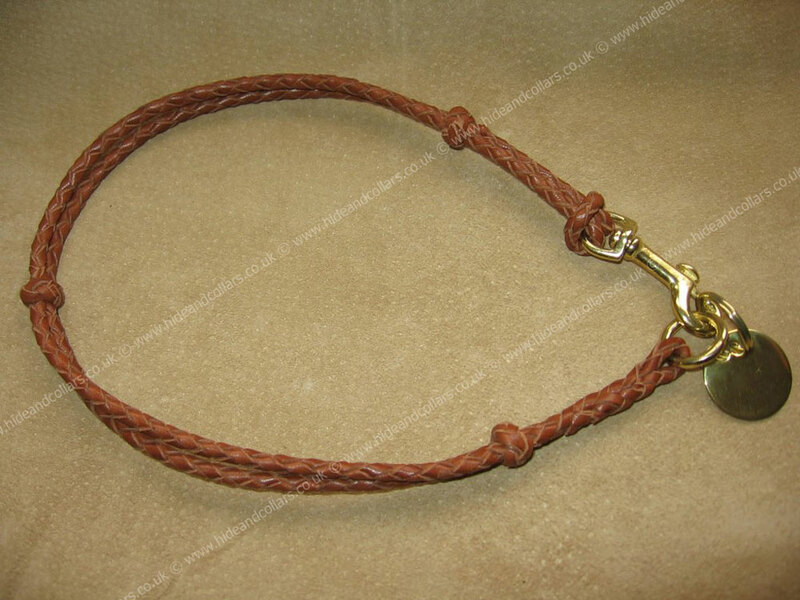 Hand braided leather ID collar made from kangaroo lace with braided knots. Solid brass fittings (ID tag not included). 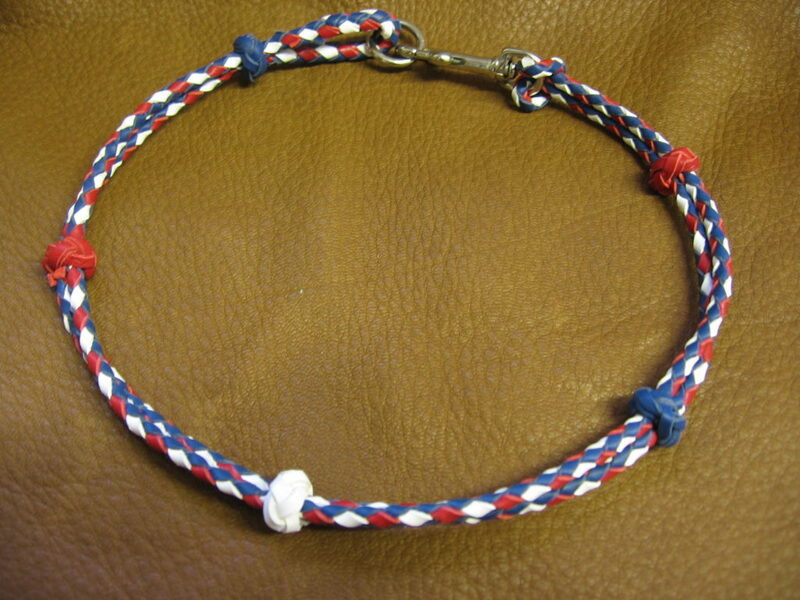 This ID collar looks stunning, when you want something different from the average ID collar. The size given for this collar with be the total length if the item. Create your own colour combination, just email me with your idea.